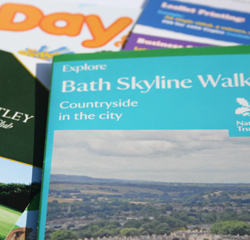 Leaflets and flyers are a great and simple way to advertise, conveying important information and pricing to customers. A flyer can be as simple a single A6 sheet of paper, printed on one side on 100gsm paper or a more complex 6 page leaflet, printed on both sides on 170gsm silk and folded to DL. Flyers are ideal to leave behind, hand-out and door drop or as additional literature to support existing mailing or promotional packages. Some leaflets can contain more detailed information and act as mini brochures, giving a more professional look. There are various ways of producing these to make them more appealing and eye catching. Flyer, A5 printed in four colours one side on to 130gsm Gloss Art, trimmed and boxed…….1000 copies £99. Leaflet, DL 6 page printed in four colours both sides on to 150gsm Silk. Trim, roll fold twice and box…..1000 copies £163.